In 2018, we launched our PV Women’s Network, with a vision to provide business women in our community with a platform for connection and support, while delivering programs that contribute to their personal and professional development and success. We are continuing our interviews with Pallett Valo’s women leaders, so that we may be inspired by their strength, leadership, and accomplishments. 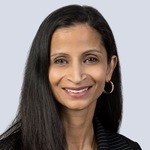 Sudevi Mukherjee-Gothi is the Head of Pallett Valo’s Insurance Defence Group, and a Member of the Commercial Litigation and Health Law Practices. I am the first female South Asian partner at the firm (first, but not the last!) and I am the head of the Insurance Group as well as a Member of the Commercial Litigation and Health Law Practices. I represent insurance companies, companies with a self-insured retention, health professionals and corporations. I also co-chair our Student Program, and am active with our PV’s Women’s Network and the Canada South Asian Group. What are some of your biggest achievements/accomplishments within your legal career and why is this so important to you? First, I love being a litigator and I am proud to say that I have great clients who have supported me and given me amazing opportunities. Upon my return from my second maternity leave, I was successful in a jury trial which resulted in one of the highest cost orders my client has received to date. Second, I was proud to be an active Board Member with the South Asian Bar Association (SABA) for many years, eventually resulting in me becoming the first female President. SABA has grown into an amazing organization and I was proud to be a member of the Board in its early years leading to its present success. Third, I am proud of the impact I have had with the student program at the three firms I have practiced at. Many of the students that I have been involved with have gone on to do amazing things and I am proud to have been a part of their student years and training. When I started in law, I did not have many role models who looked like me or who could relate to who I was. Even in law school, I allowed my first name to be shortened to make it easier for my peers. However, as I gained more confidence, with the mentorship of people who encouraged me that to gain success, I had to be me, I found my voice. I ensured that I always participated in any meeting that I was invited to and that people heard what I had to say, even if it was a “voice” that they had not heard before. I stopped trying to fit in and I dressed and spoke with a style that was uniquely my own. And because mentorship played such an important role in my career, I have always made it a point to mentor and give back. Leadership for me is ensuring that there is a diverse mix of voices being heard and working together. I am proud to see that prevailing at Pallett Valo. 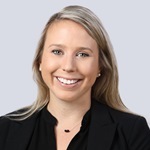 Krystyne Rusek is a Member of Pallett Valo’s Estate Litigation Group and Wills, Estates & Trusts Practice. I am currently the only lawyer at Pallett Valo dedicated solely to estate litigation, which area deals with estate, trusts and capacity-related disputes and court proceedings. I am also the head of the Student Committee, which is tasked with recruiting and hiring summer students and articling students for the firm. What is your biggest achievement within your legal career and why is it so important to you? In 2012, I was co-counsel in a 7-day trial involving the financial abuse of a 90-year old man by his much younger caregiver. Basing our case on principles and remedies under both contract law and equity, we were successful in having title to our client’s home returned to him and in defending various monetary claims made by the caregiver. It was the culmination of four years’ of time and effort on our part, as his legal team, but also on the part of the client’s neighbours and friends, who provided key testimony at the trial. This case was important for me because it showed that hard work and perseverance are the keystones of successful litigation, and that justice can prevail despite the many obstacles that may be encountered. What advice would you share with young women entering the legal profession? At the beginning of your career, you will often question your knowledge and judgment. You cannot be afraid to ask questions and seek advice from more senior lawyers. Find a mentor, either within your workplace, or at another firm, and use that person as a sounding board when you encounter problems that you cannot resolve on your own. You will hopefully receive sound advice not only with respect to the legal issues that confound you, but also with respect to the practice of law and how to conduct yourself as a lawyer. 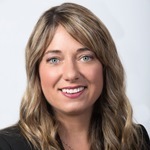 Jill Snelgrove is a Member of Pallett Valo’s Construction Group. I am member of the construction litigation group at Pallett Valo. I assist the senior associates and partners with complex construction lien matters and have carriage of a number of smaller construction related files. I came from a general litigation back ground and choose to specialize early on in my career. I would say that my biggest accomplishment to date has been becoming a member of the Construction Group at Pallett Valo. It quickly became apparent that this group has an excellent reputation in the construction bar as well as the industry, and I am proud to say I am a member of a female-led team. I am very fortunate to have grown up surrounded by many women who I look up to and who inspire me daily. First and foremost, my mother because she taught me, through example, the importance of being independent and of prioritizing my education and career. Secondly, I grew up attending an all-girls summer camp in Algonquin Park where I cultivated many relationships with incredible women that have lasted throughout my adult life. I admire these women for their strength, confidence and ability to band together and create an indestructible support system whenever needed. In university, I became a member of an international woman’s fraternity and am still very close with a handful of women who inspire me every day through their commitment to family, community, charity and professional development. Lastly, Maria Ruberto and Anna Esposito, the partners in the Construction Group at Pallett Valo, inspire me professionally because of their achievements and the respect they have gained through the industry. I am very fortunate to be working directly under them and learning from them every day. 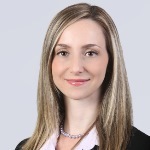 Andréa Brinston is a member of Pallett Valo’s Business Law Practice and Commercial Real Estate Practice. My practice is predominately corporate law based, but I also assist clients with their commercial leasing needs and some franchise law related matters. A large portion of each week is spent helping clients navigate transactional matters, including buying or selling a business, and sometimes helping a start-up business prepare for and close a round of equity investment. I also spend time with clients reviewing contracts and providing more day-to-day business legal advice. Each client’s business is different from the next and it keeps the practice of law exciting for me. I am also a co-chair of the PV Women’s Network. What are some of your biggest achievements/accomplishments within your legal career and why are these so important to you? Being able to assist a client close a transaction always feels like an accomplishment, however, it is particularly joyous when you can be a part of a person’s exit strategy after they have spent a significant part of their working life building up a business or brand that they are proud of and then have an opportunity to sell and obtain significate financial reward for their past hard work and dedication. There can be a lot of stressful moments during a transaction, and being able to cross the finish line with a happy and satisfied client always gives me a feeling of accomplishment. Part of your practice includes advising start-up companies. Please tell us more about this aspect of your practice. As mentioned above, part of my practice is working with start-up businesses which I find can be particularly exciting. I love to hear the passion in a person’s voice when they describe their new business concept and how much dedication they have in trying to get a new business started. Through my involvement with the RIC Centre in Mississauga, a centre which helps entrepreneurs fast-track their business to market, and other start-up incubators, I get an opportunity to share in the excitement of each client’s business venture, while at the same time using my knowledge of corporate law to provide some guidance to entrepreneurs who want help navigating the potential hazards that might get in their way.